Founded in 2004, Kerlink is a fast-growing, global and publicly traded provider of Internet of Things (IoT) infrastructure, software and services serving telecom operators, public authorities and businesses of all sizes to design, launch and operate IoT networks. Anticipating a booming market for communication solutions dedicated to connected devices, Kerlink founders – William Gouesbet, chairman and CEO, and Yannick Delibie, deputy CEO and CTIO – foresaw the role that RF communication technologies and their associated support platforms could play in M2M vertical segments like fleet management, metering and freight. 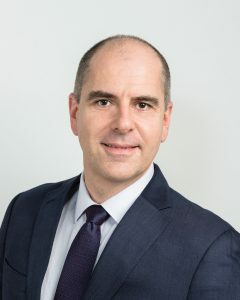 A co-founder and board member of the LoRa Alliance, Kerlink specialises in end-to-end IoT network solutions for LoRaWAN cost-effective, energy-efficient and long-distance connectivity. The company designed the world’s first commercially available product range of outdoor carrier-grade for IoT dedicated networks. Kerlink also has continuously launched a range of embedded & ruggedized devices and applications for transportation using cellular connectivity, in addition to fleet management and tracking solutions, such as passenger information and entertainment, fuel-efficiency monitoring and car/bike sharing. Strongly focused on R&D, the company introduced several innovative low-bandwidth SIM-less M2M solutions to meet the wireless-connectivity needs of gas-and-water suppliers, including remote metering. As an early leader in developing and implementing the Wireless M-Bus standard, a widely used RF communication link for gas, water, electricity and heat metering, Kerlink strongly promoted its use in Europe. Kerlink is a proactive and flexible technology provider in both the M2M and IoT ecosystems. Its business model is supported by a commitment to R&D, which continuously provides its customers with innovative, reliable, high-performance, scalable and energy-efficient IoT equipment and solutions. Its global customers connect a diverse and rapidly growing array of devices, enabling an increasing number of value-added applications in various verticals, and supporting innovative business models to monetize the IoT.